John Vater QC, writing on Twitter, has – rightly- categorised the District Judge Read as a “hero”. When giving judgment in JY v RY  EWFC B16 the judge made a number of telling observations about the profound implications of lack of legal aid for litigants. Representation would lead to a fairer process; (although no-one in government has the sense to see this) it would save the public purse. (1) I am in little doubt that had one or both of these parents been represented, the fact finding process and probably the outcome would have been very different. (2) Neither parent could afford a lawyer, and neither was eligible for Legal Aid. I found this surprising in the mother’s case in particular, given that I was told that she was dependent entirely on state benefits and yet failed the means test, despite the nature of the case. 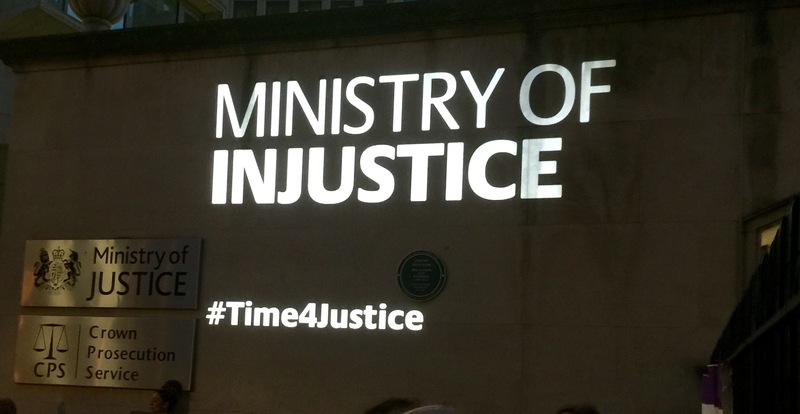 (3) Secondly, were one or more instructed, a solicitor would have quickly noticed the lack of Police disclosure by the court-set deadline, and made appropriate enquiries. I am sure that the email address problem should then have been revealed, and the necessary papers supplied before either of the November and January adjournments. It is not the role of the Court staff to try to enforce orders for disclosure by third parties, even if they could find the time. (4) Thirdly, proper Court bundles would have been prepared if either or both parties had been represented. The ones which we had, together with the Police disclosure, were a good 25mm thick. These bundles did not have papers in chronological order, nor were they indexed or paginated – it was near impossible for judge and witnesses to tell what was where, though I was at least able to flag mine in advance. This badly hampered and delayed both the questioning of witnesses, and the making of submissions. (5) Again, it is not the job of hard-pressed court staff to prepare bundles, though here they did so to the best of their ability, and only at the judge’s request. They do not know how to do it, not being trained or equipped to do so in the way that solicitors’ staff are. The existing Practice Direction 27A does not adequately cover such eventualities, other than to require the litigants to do it, which (with apologies to those concerned) they rarely if ever do or do properly. (6) Fourthly, the lack of legal representation gravely affected the fairness and efficiency of the process of questioning both parents. So far as my role in this was concerned, although I did my best to abide by the guidance in PD12J at paragraph 28, I was hesitant about participating in this way, being reluctant to be seen to step into the arena myself. Ours is an adversarial (i.e., led by opposing parties) not an inquisitorial or judge-led legal system: judges have neither the training, tradition nor natural inclination to subject witnesses to detailed questioning. (7) Having professional representation and advice will tend to support and help an alleged victim of domestic abuse in a moral and practical way that goes far beyond what a voluntary support agency can or should offer. It can fortify a witness before questions are asked, be a reassuring presence during that process, and debrief them afterwards. It can reassure them as to outcomes, and act as a safeguard during what may be a hugely bewildering and scary experience. Its presence is the mark of a civilised society and a mature and balanced legal system. Conversely, it can moderate, inform and balance the approach taken by the alleged perpetrator. No English or Welsh criminal court would proceed as this court had to, in the absence of representation for parties dealing with such grave allegations. (8) I was also perturbed by the mother’s inability to produce a list of questions for me to ask the father, despite encouragement and opportunities to do so. I make no criticism of her in that: the justice system should never have left her in that position. Had she been represented, that simply would not have happened. (9) As is his right, the father was not prepared to make any admissions. Yet upon hearing the evidence I later found him manifestly to be lying on the first 2 allegations, those being the only ones on which the mother and her witness were fully challenged in oral evidence. In this case, pre-trial negotiation between advocates might have obviated the need for a fact finding evidential hearing entirely, had sufficient admissions been made upon legal advice. (10) There is always the fear in the mind of the Court that the questioning of an alleged victim about their abuse merely prolongs that abuse by other means. Given my findings in this case, limited though they are to only the first few allegations, I think that fear is borne out here. I am also worried that the father will see his stance of not making any admissions to have resulted in him “winning”, in some sense, because only a few of the allegations were ever properly tested. (11) The questions I asked the father were rather stilted, and lacked any of the finesse, insight or skill of those that they would have had had they been asked by an advocate who had prepared the case properly. I cannot pretend that I was either thorough enough, probing enough, or pursued the right lines of enquiry in asking questions of either parent’s evidence, but especially the father’s. (12) I would also concede that my questioning of the mother was less than ideal, even though it had a script to follow, especially given that it was unduly lengthy. I did not want to cut short the number of questions the father had prepared for me to ask her, lest he think the Court was short-changing him or being less than even handed. (13) I therefore think there is a very strong likelihood that the outcome of the fact finding would have been different, and most probably a truer reflection of what really happened, had the parents been represented. It would surely have concluded sooner, more fairly, and at far less expense to the public purse than ultimately was the case, with two wasted days at Court. It may also have been less painful for the participants.